Textiles made interesting and easy! I found this a very useful guide to textiles as it tackles the subject in an easy, straightforward and practical way. It contains everything you could need to know about textiles, fibres and fabrics, colours and design, and also includes sections about the construction techniques, processes, and surface treatments of textiles. This volume opens with a brief history of the subject. I think this is a very interesting feature, particularly because of the easy and engaging way in which it's written, always accompanied by lots of illustrations and pictures. The introduction begins with the development of textiles and textile designs from 1600 onwards and goes through the changes in pattern and quality before and after the industrial revolution. It then moves on to the creation of new materials such as Nylon, Spandex and Polyester, to the everyday use of jeans. Since this is a basic `how-to' book, its main and best features are its practicality and the large amount of examples provided with straight-to-the-point text. Concepts such as the principles of textile design are presented in a short, yet detailed way, which allows a clear understanding of the first steps in the planning and designing of textiles. I was surprised on how many things have to be taken into consideration when approaching this subject, but this book takes you through the process step by step, illustrating how to research for ideas - reinventing the `classics' or simply experimenting with new patterns - express the design and create a market for your own textile. Scale, colour palette, pattern and repeat, placement, surface, texture and weight are only few of the main subjects covered in the various sections of the book, which also offers an accessible and comprehensive description of other topics which range from the importance of the specific qualities and characteristics of fibres, to the main kinds of fabric constructions and surface treatments. I'd personally suggest this book to anybody interested in this subject, because it condenses lots of useful, practical information into a limited number of pages and gives great, concrete examples and tips to design your own textiles. 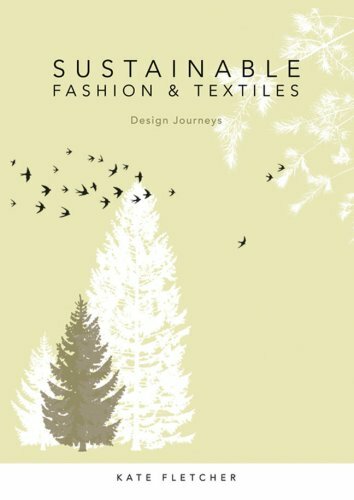 This inspirational design handbook presents a new vision of sustainability in the fashion and textile sector based on design thinking and practice. It brings together for the first time information about lifecycle environmental impacts, practical alternatives, design concepts and social innovation, and frames them in a sustainability context. 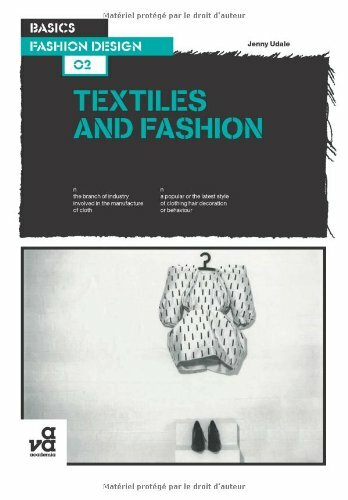 It challenges existing ideas about the scope and potential of sustainable fashion and textiles, and sets out a broader, more inter-connected and forward-looking picture drawing on ideas of human needs, industrial ecology, speed and rhythms, and participatory actions, as well as knowledge of materials. The book not only adds to the understanding of this subject area, it also presents practical information for textile and fashion practitioners. All eight chapters present a combination of long-term and short-term solutions. They deal with making changes to industry as it exists today and at the same time they articulate a new vision for the sector based on sustainability principles. This is a required reading for a class of mine as a senior textile design major.The information is current, enlightening, and constructive.Alternatives to tradition means are easily accessible for all.Great color photographs of work being made by green designers included.Highly recommended for designers, manufacturers, or anyone who is interested in making more conscientious decisions for their wardrobe. 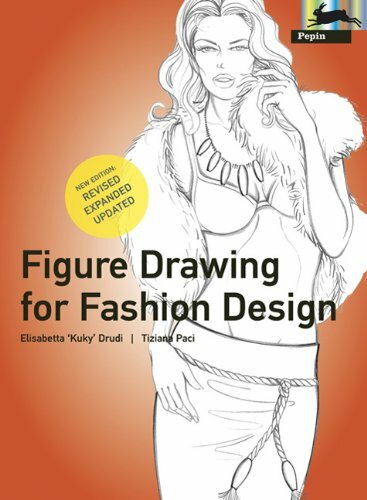 We got this for our teenage daughter to learn the beginning steps of fashion design.I think for the reviewers who said it was too basic for them, they may be more advanced, but for beginners this is a lot of foundational groundwork to learn about drawing bodies and clothing.Each page shows drawings/ sketches, and explains the technique and how to learn to draw QUICKLY as a fashion designer presenting ideas, not just a casual sketcher. 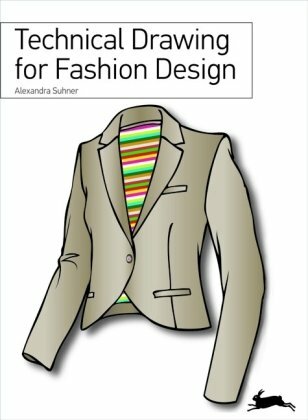 I would recommend this for high school age and above as a first book to try out their talents and learn some of the basics.For an introduction to fashion design it is a huge and detailed volume.It covers enough of the business side of fashion design that it can help a person decide if the career would really interest them.Well worth the price! I bought this book in order to help me with a Principles of Design class. It was mostly a sketching class and the book helps the student understand how the body is divided when it comes to drawing fashion and croquis. Overall, I think its a fantastic book because it also includes how to draw faces, eyes, hands, etc as well as how textures are drawn and comes with a few color sketches and ideas to get you started. The rest is up to your own imagination. This is a great book.It is exactly what I was looking for.It demonstrates how to draw the body, face, poses and fashions. I am so happy w/ this book.I have some experience w/ photoshop, but have done most of my designing in illustrator. I've found photoshop to be very intimidating, but "Adobe Photoshop for Textile Design" is so clear and user friendly, I'm learning that .psd isn't so scary after all. Beyond that, the author is accessible, which is wonderful.I had a question as I was working through the book, and received a response lightening fast. I bought this book 3 weeks ago and it was a big surprise to see how clever is the author to give excelents clues for the simple mortal I am. I am not a textile designer but I understood all very well,andin an excellent english very easy to read. Also the paper is very beautiful with very careful detailsin each page. And amazing the CD which came together wich wonderful images. Please continue like this Mr Frederick. 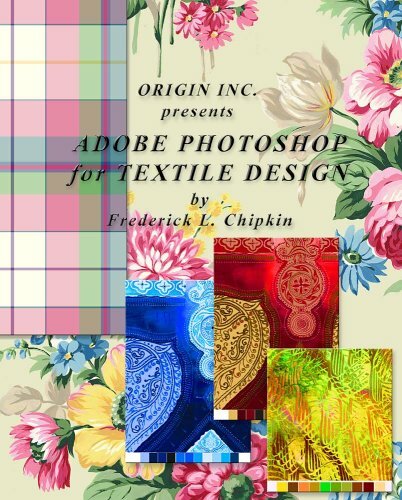 I bought a number of digital textile design books.This one is the most updated and simple in terms of the instructions.Also, the author is extremely accessible and available for support, questions and feedback.He was fantastic and very helpful! As aGraphic Designer, I made a research and bough four products that were supose to solve textil design, and this was the best, It gives you meny alternatives: also the seller stood beside me when nedded. Textiles connect a variety of practices and traditions, ranging from the refined couture garments of Parisian fashion to the high-tech filaments strong enough to hoist a satellite into space. High-performance fabrics are being reconceived as immersive webs, structural networks and information exchanges, and their ability to interface with technology is changing how the human body is experienced and how the urban environment is built. Today, textiles reveal their capacity to transform our world more than any other material. Textile Futures highlights recent works from key practitioners and examines the changing role of textiles. Recent developments present new technical possibilities that are beginning to redefine textiles as a uniquely multidisciplinary field of innovation and research. 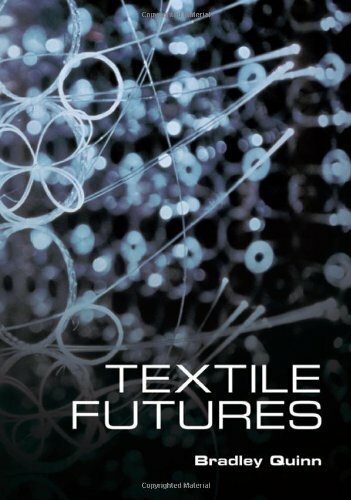 This book is an important tool for any textile practitioner, fashion designer, architect, interior designer or student designer interested in following new developments in the field of textiles, seeking new sustainable sources, or just eager to discover new works that reveal the potency of textiles as an ultramaterial.